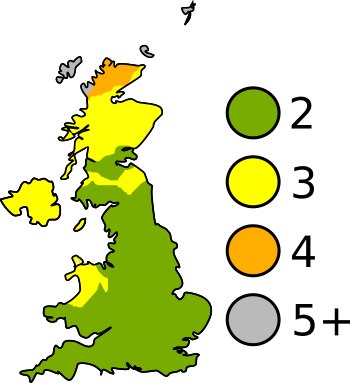 A central heating system provides heat to a building from a centralized location. Typically, these systems treat the entire building as a whole and rely on one temperature setting and reading to know when to turn the heat on or off. This can make it very inefficient and only accurately controls the temperature in the room where the thermostat is placed. Creating zones within your building is a way to increase efficiency and temperature comfort level, as it gives you better control on when and where the hot water is going through your radiators. To better understand how these systems work, please look at the example in Figure 1. It shows a two level house with “Zone A” and “Zone B.” They are controlled by separate thermostats on their respective level and are set, or put on a schedule, individually to the desired temperature for that floor. When the thermostat’s settings determine it is time to heat the room, it sends an electrical signal to a zone valve to open the flow of hot water to this zone. 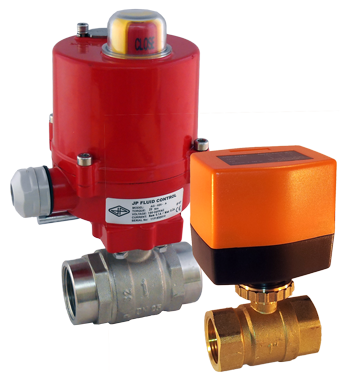 Some zone valves include auxiliary limit switches to determine if the valve is completely open or closed. These systems use these signals to control a pump (circulator) and boiler to start pumping the hot water. The water then flows through the system, heating the zone, until the respective thermostat’s temperature setting is reached. Once reached, it will send a final electrical signal to close the valve, which releases the limit switch. The hot water then stops flowing through this zone. 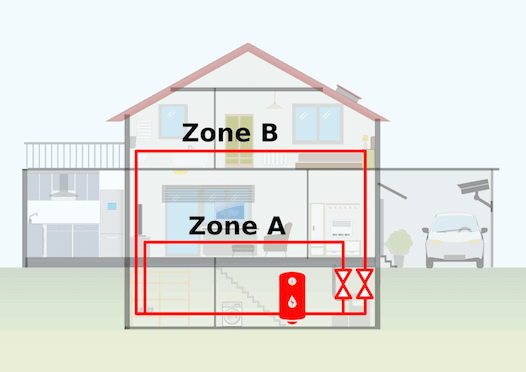 Figure 1: Example home utilizing two zones for their central heating system. An existing central heating system can be modified to incorporate zones or a new system can have it from the beginning. There are design considerations that should be taken into account to ensure the system works properly for the life-time of the system. An electrical ball valve is one of the preferred types of zone valves due to its durability, slow close to prevent a water hammer, low power consumption, and high reliability. An internal ball with a bore gets rotated a quarter turn by an electric motor when the appropriate signal is received to either open or close the valve. When it is in the open or closed state, it does not require additional electricity to remain in that state. Figures 2 and 3, shows common examples of zones valves. Often times, the valve can also be manually operated by a lever encase of a power failure or for testing. Due to the high temperature of the water, certain materials need to be used for both the housing and the seal. It is recommended that the valve’s housing material be brass, the O-rings be EPDM (ethylene propylene diene monomer) and the seal material be PTFE (Teflon) to ensure proper functionality through the system’s life. A zone valve can be located right after the boiler and circulator (hot side), or at the end of the zone circuit (cold side). If able, it is recommended to locate the valve on the cold side as it will be less damaging to the valve and improve its life-time. As previously discussed, each zone needs its own individual thermostat to control the temperature. It should be away from an immediate heat source within that zone. 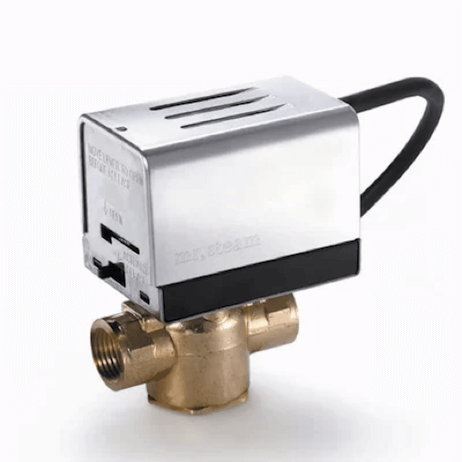 A building’s size, length of heating pipes, pressure drop due to valve orifice, and amount of zones need to be taken into consideration to ensure that the circulation pump can create enough pressure to move the water through all of the zones. Over heating: This is typically due to the lack of proper ventilation for heat dissipation. Often times removing the cover is a quick solution, but shouldn’t be a long-term solution as eventually the motor will fail. Burnt motor: Frequent over heating or the wrong voltage/current can destroy the electric motor. The power supply, wiring, and the cause of the burnt motor needs to be checked before replacing the motor. Leaking or unable to open: An internal component is failing and the valve needs to be replaced. You should perform monthly checks by actuating the valve to ensure it is still working properly as opening torque can build up over-time.